Judicial deference is sometimes taken with scepticism and associated with limited judicial review or even a court’s complete abdication of its role. It is not necessarily so. By referring to competition law, I would like to argue that a deferential style of judicial review of competition authorities’ determinations based on their expert knowledge is permissible on the condition that administrative proceedings are fair, competent and impartial and on the condition that judicial review is effective. If properly understood, judicial deference can positively influence the effectiveness of EU law while not undermining the protection of the rights of private firms involved in competition proceedings. Let me first discuss an example. In 2007, the Polish competition authority (Urzad Ochrony Konkurencji i Konsumentow, UOKiK) found that TP EmiTel – the owner of transmission masts broadcasting radio and television signal – had abused its dominant position by charging different rates for broadcasting radio and television signal via its terrestrial broadcasting network to the publicly owned TV/radio stations and different, lower prices to private ones. The question whether UOKiK was right in its determination of the relevant market defined as a national market for both radio and television terrestrial broadcasting services was a crucial issue in this case. When the Emitel case reached the Supreme Court in 2015, the Court took the opportunity to provide the lower courts with guidance on how to review UOKiK’s determination of the relevant market. The Supreme Court in principle confirmed that the reviewing courts were entitled to change the UOKiK determination of the relevant market. At the same time, the Supreme Court hinted that potentially there is a space for judicial deference to UOKiK determinations in this respect. First, the Supreme Court directly acknowledged that the definition of the relevant market involves a certain margin of appreciation. Second, the judgment suggests that respect given to the assessment of the relevant market made by the competition authority may be conditioned on the persuasiveness of UOKiK’s reasoning and, in particular, the extent to which this assessment is based on market studies. Third, UOKiK is expected to play an active role during judicial proceedings – this may include its readiness to modify its assessment of the relevant market while defending its finding that the firm at stake holds and abuses its dominant position on such a market. Having this reasoning in mind, the Supreme Court analysed the extent to which UOKiK’s decision in the Emitel case was based on market studies. The activeness of UOKiK during judicial proceedings was assessed as well. The Supreme Court concluded that UOKiK failed in both respects. In particular, the Supreme Court observed that UOKiK did not provide either the justification of its decision in the judicial proceedings nor any economic proof as to the existence of supply substitutability of the offers of broadcasting radio and TV services. The competition authority did not show that reciprocal pressure from the providers of these services existed. In addition, according to the Supreme Court, UOKiK did not provide a market analysis of how the market on which Emitel acted actually operated. Instead, UOKiK only presented its own narrative of what this market looked like in its opinion. How to understand judicial deference? Effective judicial review: only after courts exercise effective review, may they defer to the conclusion reached by the competition authority; in particular, the courts have to check whether the law was interpreted and applied correctly by the administrative authority and whether the collected evidence supports the conclusion reached by the competition authority; judicial review should also cover the competition authority’s economic assessment and the amount of the fine. Once these conditions are met, judicial deference can be seen as permissible in areas where the competition authority bases its determination on expert, economic knowledge. In this context, it has to be acknowledged that the theory of competition harm put forward by the competition authority does not have to be the only possible one. Also, the economic analysis might reach more than one well-founded conclusion. Because of that, the court, after reviewing the correctness of the competition authority’s statutory interpretation and non-economic factual findings and the authority’s adherence to procedural rules, should not replace the economic assessment of the competition authority with its own. This is conditioned on whether the competition authority provided in the justification of the decision a coherent reasoning of its economic assessment. Where the court saw the possibility of adopting an alternative assessment based on the evidence collected by the competition authority it should not do so if the economic assessment of the competition authority can be considered as one of the correct ones in the light of the competition authority’s overall findings. For instance, the competition authority’s determination of the relevant market supported by comprehensive economic analysis should be accepted by the court even if it could possibly define the market differently. Recognition of the relevance of judicial deference does not automatically mean that the deferential style of judicial review is permissible in the given system of competition law. This depends on whether judicial deference permissibility conditions (discussed above) related to fairness, impartiality, and expertise in competition proceedings and to effective judicial review are met. Let me discuss this briefly in the Polish context. This is of direct relevance for the effectiveness of EU competition law since the EU member states competition authorities are obliged to enforce EU competition rules (Article 101-102 TFEU) whenever the practice is capable of affecting the trade between member states. First, the proceedings held before the Polish competition authority (Urzad Ochrony Konkurencji i Konsumentow, UOKiK) do not show the presence of the identified variables to a sufficient extent. Shortcomings with respect to the due process rights of the parties are still not fully resolved (even if one can observe improvements regarding for example statement of objections). This is, in particular, the case regarding the level of protection of legal professional privilege and privilege against self-incrimination since the clear legal basis in this respect is missing. Second, when it comes to the institutional set-up there is no division inside the UOKiK’s structure of investigatory functions and decision-making ones (no internal walls). The expertise and sufficient level of experience of the UOKiK President and UOKiK’s employees involved in competition proceedings are not fully guaranteed be it by the law or by UOKiK’s institutional organization. Often, the quality of the justification of UOKiK’s decisions faces criticism. In addition, the independence of the UOKiK President is not guaranteed by law (possibility of dismissal at any time at the Prime Minister’s will) which may – at least hypothetically – bring non-objective factors into the decision-making process. Lastly, the review by the Warsaw Competition Court often falls short of providing effective judicial review on the merits. Instead, the review provided by SOKiK tends to be superficial and formal. The judgments of SOKiK often do not offer sufficient own analysis on the merits (see for example the judgment of SOKiK in the interchange fee case), and its focus tends to be on fines rather than on substantive issues of the case before it. Dr. habil. Maciej Bernatt is Assistant Professor at the Department of European Economic Law, Faculty of Management, University of Warsaw. He also acts as Scientific Secretary of the Centre of Antitrust and Regulatory Studies at the University of Warsaw and the Editor-in-Chief of the Yearbook of Antitrust and Regulatory Studies. 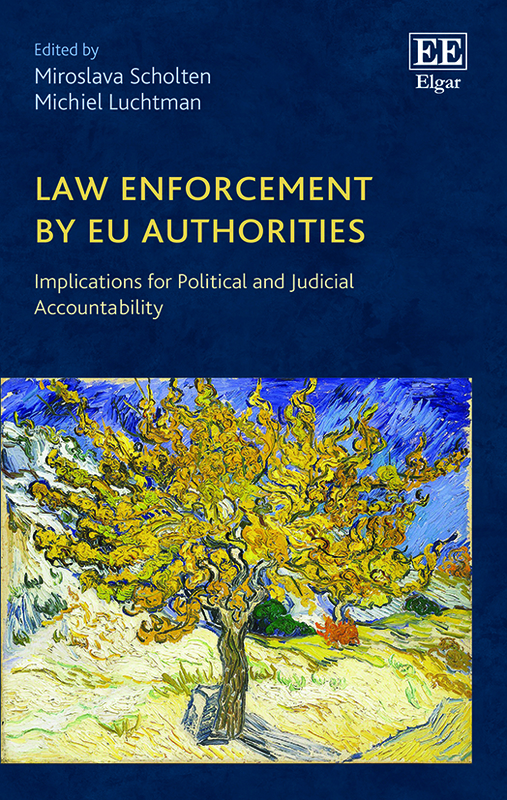 Next Next post: An Enforcement Role for EUROPOL in the Aftermath of the “Refugee Crisis”?